Hunter Stockton Thompson was a countercultural icon that bridged the gap between fiction and journalism. 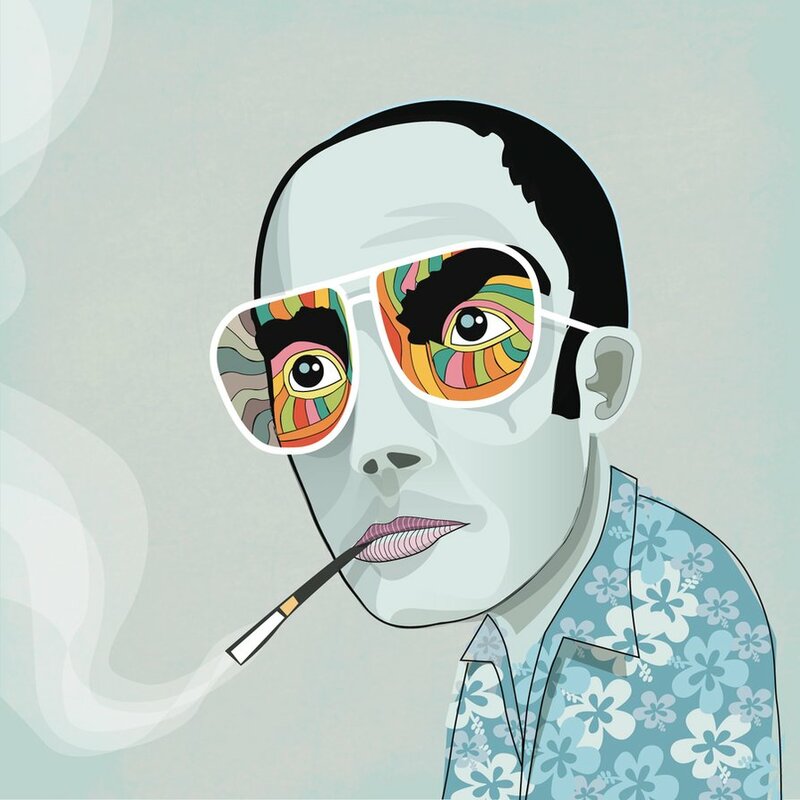 Famous for his work with Rolling Stone and for books such as “Fear and Loathing in Las Vegas,” this quirky writer had a tone so unique; his writing was given its own genre called gonzo journalism. It is a journalistic style still in use today. 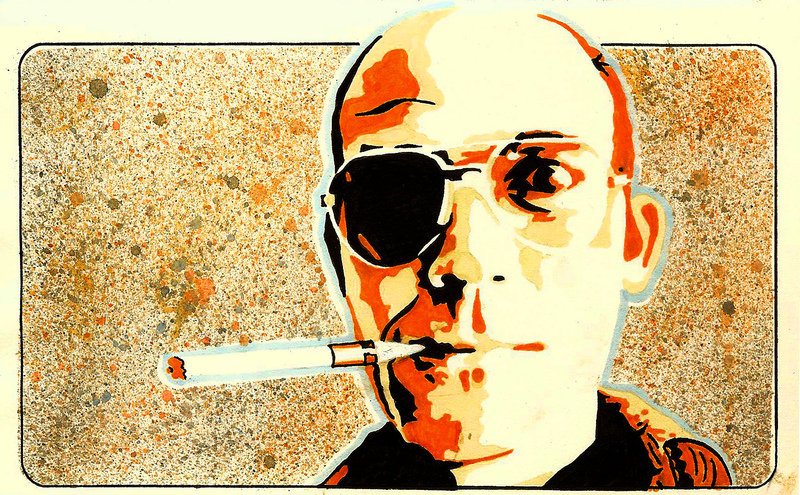 This profile delves more extensively into the life of Hunter S. Thompson, gonzo journalism and the legacy he left behind. 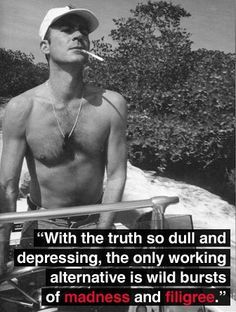 The late Hunter Stockton Thompson (born 1937 in Louisville, Ky.) believed, “There is no such thing as Objective Journalism. The phrase itself is a pompous contradiction in terms” (Maria Popova). It was this belief that helped Thompson to construct a new journalistic genre contradictory to the very core of said topic’s definition. “That once-radical, now-ubiquitous style of New Journalism that does away with claims of capital-O objectivity,” is known today as gonzo journalism and “instead inserts the author into the story as an active first-person narrator,” (Popova). On February 20, 2005, Thompson died from a self-inflicted gunshot wound at age 67; however, the firsthand, personal reporting approach, which first made Thompson so radically iconic, now lives as the literary legacy to the original gonzo journalist. Thompson, like his works, did not waste any time beating around the bush. 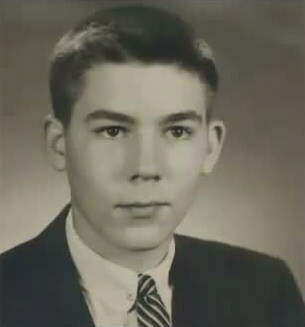 He found writing his forte and was inducted into the local Athenaeum Literary Association for his fiction and poetry while still attending high school. As talented as young Thompson was, his run-ins with the local law eventually caught up to him. At age 17 a judge gave Thompson the ultimatum between prison and military. Choosing the latter, the young man enlisted in the U.S. Air Force in 1956. Here, he continued to develop his craft and wrote a weekly sports column for the base for his two years of service. Upon discharge in 1957, Thompson worked a number of newspaper jobs, but found satisfaction in none off them. He began freelancing from Puerto Rico and South America for The New York Herald Tribune, the National Observer and various other publications. An article entitled, “Hunter S. Thompson, The Art of Journalism No. 1,” from The Paris Review foreshadows, “The vocation quickly developed into a compulsion,” (Douglas Brinkley, Terry McDonell). Before the ripe age of 25, Thompson completed his first (and only) novel, The Rum Diary. Based upon his experiences in South America, the colorful adaptation was not actually published until 1998. Thompson got his foot in the door of journalism with his foreign correspondent work, but it was the publication of his first non-fiction book Hell’s Angels in 1967 that first established his reputation. This work, arguably the first to emulate true gonzo journalism, was supported by over a year of Thompson’s travels with the infamous gang. This firsthand account supported Thompson’s gonzo strategy, which, according to an interview from the Quietus, aims to, “place the journalist at the very heart of a story, until he becomes the central protagonist” (Ian Johnston). His first book set the tone for future pieces and forced the public to take a second look at things, but gonzo journalism would need more propellant to solidify itself as a new genre. It was the publication of Fear and Loathing in Las Vegas in 1972 that fortified the vitality of Thompson’s presence in American journalism. The Encyclopedia Britannica describes, “First serialized in Rolling Stone, it documents the drug-addled road trip taken by Thompson (as his alter ego Raoul Duke) and his lawyer (Dr. Gonzo) while also discussing the end of the 1960s counterculture.” The success of the excerpt caused the magazine to offer Thompson a job as its national political reporter. As Thompson paved the pathway to possibility by bridging the gap between fiction and journalism, this opportunity from Rolling Stone, “brought Mr. Thompson’s rule-breaking style to a broader audience, where his outrageous voice helped refocus the nation’s customarily straitlaced political dialogue” (Michael Slackman). Thompson had the perfect blend of rage and fantasy to resonate with cultural frustrations. “At his peak Mr. Thompson reached out in his writing to a generation made cynical by the Vietnam War and the Watergate political scandal and that was prepared to respond to Mr. Thompson’s visceral honest[y],” (Slackman). This mixture left an heir of drama and reveal lingering at the end of Thompson’s articles. Along with this journalistic style come natural questions of virtue and validity. One of the most fundamental ideas of journalism is the idea of objectivity and the ability to account without bias. Slackman quotes an Associated Press interview conducted in 2003, in which Thompson states, “Fiction is based on reality unless you’re a fairy-tale artist. You have to get your knowledge of life from somewhere. You have to know the material you’re writing about before you alter it.” Thompson did not argue for bias in order to get his personal outlook across or simply to make for better readership; he argued for it because he believed it to be a necessity. 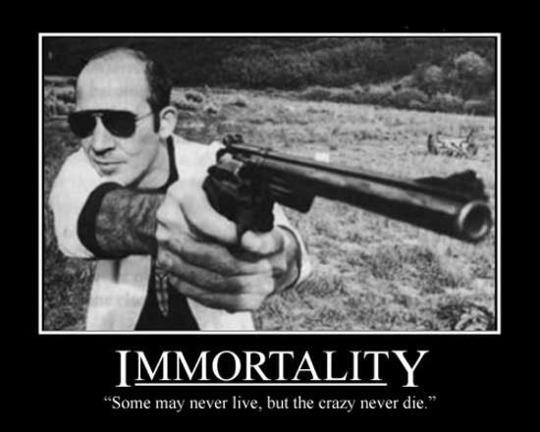 Hunter S. Thompson was a bold, innovative journalist who never ceased to test the boundaries of every rule. He refused to believe that journalism was something objective or that stories could be told from the outside looking inward. This defiance was replaced with wholehearted subjectivity. Thompson became enveloped in first-person accounts. This made them all the more edgy, and, for Thompson, perhaps, all the more destructive. Thompson’s firsthand, semi-fictional style was so consistently successful it became the genre, still known today, as gonzo journalism. This is a genre of which I was unfamiliar so I read it with a great deal of interest. I appreciated the copy interspersed strategically with his visuals. The copy flowed well and was very easy to follow. He was definitely a creative individual and we have benefitted from his contribution. While he took it to an extreme, leaving no question he was outside the lines, it’s hard not to agree with his view on objectivity. Over time it’s what we like or do not in all forms of news writing and reporting. It’s certainly very interesting and thought provoking in possibilities for today’s application. Also, it sure seems in other arenas of journalism there’s room for being interactive as well pioneering other forms. Next Entry Exciting Stuff! Listen up!